If you think that the lottery is merely entertainment for us, “common” mortals, think again. 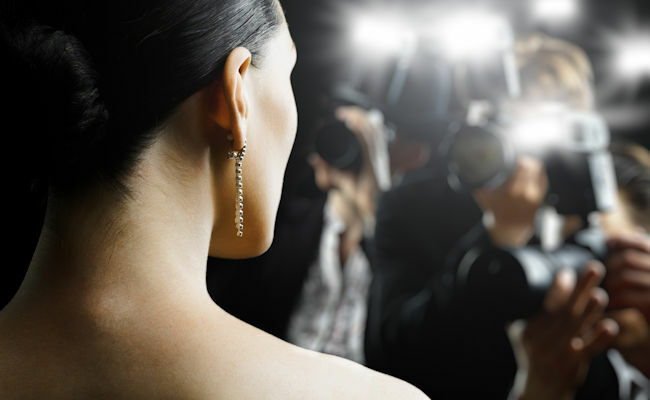 Even among TOP celebrities and truly famous people you’ll find those who won’t pass the opportunity to buy a lottery ticket and try their luck. As we all know, the lottery is not just about the money, but mostly about the feeling and tension when the drawing takes place. Do you want to know which famous people enjoy the lottery just as much as we do? You might be surprised to learn that the queen of pop is a passionate gambler. In fact, she's not an ordinary gambler – not at all. Madonna won the jackpot. In 2012, she managed to win € 120,000. But before you start complaining that lady luck seems to favor some rich folks too much, you should know that she donated the whole prize to charity. The godly George Clooney also has a passion for the lottery, and in fact purchases tickets in bulk. He himself says that it's only when there’s a huge jackpot at stake, but apparently it's on a regular basis. One time when the jackpot in a lottery was € 120 million, he did not hesitate to buy tickets worth € 1,500. One should note that, similarly as in Madonna’s case, here charity was the main beneficiary as well. He wanted to donate the prize to Haiti, devastated by an earthquake. But, as far as we know, he did not win yet. However that’s not a bad thing at all, at least he needs to continue playing in great movies to make a living. Wolverine is a bit of an exception in this list, since he himself does not play the lottery. Instead, he buys tickets for other people. How so? Well, when Hugh started in the film industry, he quickly learned that he often didn’t really know much about his colleagues working on the given movies in spite of spending a lot of time with them. Since then, whenever he stars in any movie, he buys lottery tickets for the whole crew. Whether this made anyone a millionaire is not known, but it allegedly helped a lot with socializing. Loved by the English public, even though his career is now near its end there was a time when this football player was at the center of attention of the whole nation. And the tabloids discovered everything they could about him. One interesting fact was that he is basically addicted to the lottery. He can spend thousands in order to have a chance to win millions. In fact, he comes from a poor family and there it was a tradition to bet on the lottery. And he stays true to this tradition. So, Wayne, we wish you all the luck in the world – maybe you’ll be more generous if you win than Paris. And so, as you can see, even those living the good life don’t stop dreaming about high wins in lotteries. And if you don’t want to just dream, go and buy a ticket in one of the lotteries. You can also take part in the EuroJackpot - European mega lottery and win a truly gigantic amount of money.